I have the rare distinction of once having been the deputy head at a school that came bottom of the performance tables. As is so often the case, there were external factors: the school was full only to Year 9 and it had recently taken some students in the years above from a special school that was closing who had never been entered for exams. One of these students gained seven GCSEs, including two Cs – his parents were previously told that he was “ineducable”. The fact that the school had a national reputation for inclusion and had high expectations, and that most of the school’s students achieved well given their starting point, did not register in the performance tables at the time. The irony is that if Progress 8 had been the headline measure in those days, the school may well have been comfortably above fl oor target, rather than below. Progress 8 represents a potentially significant shift in school accountability and one that ASCL has cautiously welcomed. If it works as intended it will take the intense focus off of the C/D borderline and encourage schools to help young people achieve to the best of their ability, regardless of starting point. That is not to say it is without its fl aws – and ASCL has been working with the Department for Education (DfE) to try to mitigate these – but overall it appears to be a fairer measure than five A*-C grades. It is also likely to result in some turbulence during the first few years of implementation. Schools that were previously below floor may find they do quite well under the new measure. Conversely, some schools that were above the fl oor may fi nd themselves sitting lower than expected. It will certainly be the case that the measure has to be seen to be rigorous; I doubt that we will see fewer schools below the new Progress 8 fl oor than the number we are used to. This turbulence is likely to take several years to stabilise. Inevitably, some schools will change their GCSE curriculum pathways so that they create a closer match between the curriculum and the Progress 8 prescription for subjects. In turn, this will cause some inflation in the system as more students take subjects that qualify for Progress 8. High Progress 8 scores will become harder as more ‘buckets’ in the measure are filled. Then we have changes to grading with the introduction of a scale from 1 to 9 that somehow have to be mapped on to the same eight-point scale as A* to G, and as yet unknown decisions about how the grades will be distributed. I could also mention changes to the way that Key Stage 2 assessment is reported on a standardised scale, difficulties with the test boycott, what to do with teacher assessment, and so on. All of this will mean that it will take a few years to get a clear, accurate understanding of whether Progress 8 is a actually a fairer measure. In the meantime, schools will need to think about the messages they give about Progress 8 to parents and the media. It will be down to schools to do most of the re-education needed with these groups, and I think it’s unlikely that many will grasp how the new measure works. In this context, how are schools to make sensible decisions about opting in? Being allowed to opt in may be better than being told about a new measure retrospectively, as happened with the English Baccalaureate (EBacc), although some will argue that the government should have brought the measure in for all schools at the same time. Some schools will already have a ‘Progress 8-friendly’ curriculum that could result in a high score in 2015 but may then go down as other schools respond. Others will want to implement curriculum changes over time. Still others will be torn about the extent to which their curriculum should change to reflect the new measure at all. In an ideal world, all schools would continue to enter students for the right mix of exams, irrespective of performance tables. After all, the same inflationary pressures I mentioned earlier could be quelled if every school held its nerve. However, being realistic, Progress 8 will drive some curriculum change – after all this is what the government intends. In the Progress 8 seminars ASCL ran in the summer term, delegates recognised the moral dilemma about entering students so that they studied a full eight subjects – half said they would use professional judgement, as always, while the other half admitted that other schools’ behaviour would force them to enter their students for more exams. ASCL’s overriding advice to schools wondering whether to opt in early is to bide their time. The decision does not have to be made until June 2015 and Fischer Family Trust (FFT) and RAISE online data published in the meantime will help schools to make a more informed decision. It is rare for me to sympathise with Ofsted, but I am sure they too are deeply exercised about how to approach Progress 8 as it unfolds. They have an opportunity to exercise pragmatism. I hope they do. Despite the unfortunate timing and logistics, it must be right for schools to be held to account based on the progress their students make, rather than how many of them attain at a particular, and somewhat arbitrary, threshold, irrespective of their prior attainment. The reason that ASCL members get out of bed in the morning is to ensure that every student achieves as best they can in all their subjects at every grade. Performance measures that tempt school leaders and teachers away from this inclusive moral purpose by narrowing their focus on particular grade boundaries or a limited number of subjects seem to me to be wrong by definition. Finding a measure that does this fairly, however, is not at all easy. We have lived through contextual value added (CVA), Best 8 (with and without GCSE equivalents) and levels of progress. All have had their failings. It’s unlikely that Progress 8 will be perfect either. Some will feel that there is too much emphasis on EBacc subjects in the measure, while others will feel that allowing three non-GCSE qualifications will be too distorting. I’m quite sure everyone feels that the timing couldn’t be worse: at what point have we ever fundamentally changed accountability at exactly the same time as making radical changes to curriculum, assessment, qualifications and grading? 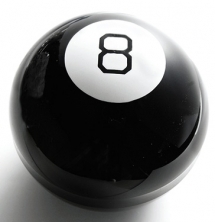 The introduction of Progress 8 floods the system with many new moral decisions. But we have come a long way with performance tables to be asking these questions at all. In an ideal world, all schools would continue to enter students for the right mix of exams, irrespective of performance tables. What is included in Progress 8? If a student sits both English language and English literature, the higher grade is doubleweighted. The lower grade could still count in the ‘open group’ of subjects (not in the EBacc slots) if it is higher than other subjects are. The combined English language and English literature qualification will be available for the last time in 2016 and will count double in the Progress 8 measure on the basis that there is an element of literature study in the qualification. Mathematics will also be double-weighted. Once English and mathematics have been included, three slots remain for EBacc subjects. There are no stipulations about the types of EBacc subjects that can count in these slots, so any combination can be used. For example, the slots may be filled by biology, chemistry and physics. Equally, they may be filled by computer science, French and German. As shown in these examples, there are no rules about the way in which these EBacc subjects are combined. Up to three vocational qualifications can count in this final group. Schools can also use three GCSE subjects or combine the two groups (for example, one vocational and two GCSE subjects). Since a maximum of two non-GCSE subjects is permitted in all performance measures at the moment, the decision to allow three vocational subjects represents an important change. Note that appropriate Level 3 qualifications can count in Progress 8. A student with an AS level qualification in mathematics, for example, could count this, but be aware that AS level grades always count, even if the point score is lower than the GCSE equivalent. Duncan Baldwin is ASCL Deputy Director of Policy.